Our oldest, Norah, is four, and reading with her has been so great. I usually read a few books with her before her rest time (after Lucy and Ellory are down), so it's just me and her, and it's one of my most favorite parts of the day. It's so fun to be able to read longer, more advanced books now that she's a bit older. Also, my life is so great now that Norah is in preschool because do you know what that means? Scholastic book orders! It's like Christmas comes to me monthly now when I get those amazing fliers in her take home folder. Here are some of our favorite preschool aged books! 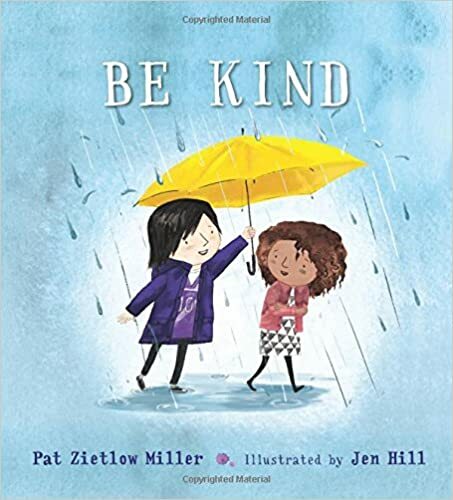 Be Kind by Pat Zietlow Miller- My MIL recently gave this to Norah and it is one of my favorite books of all time. I highly recommend it! It's about a girl who spills grape juice all over her dress and everyone laughs, and this other girl isn't sure what to do. She tries to say something comforting to her, but she still runs away embarrassed, and then she talks about different things that kindness might be. I really love it because it talks about how being kind is hard sometimes and sometimes you don't know exactly how to be kind, which isn't always talked about. There are many books about kindness, but this book is so real about it and talks about how. It ends with saying that maybe all she can do is something small (she draws her a picture of purple violets in art class), but that's okay because all the kind acts that people do can add up to something big. 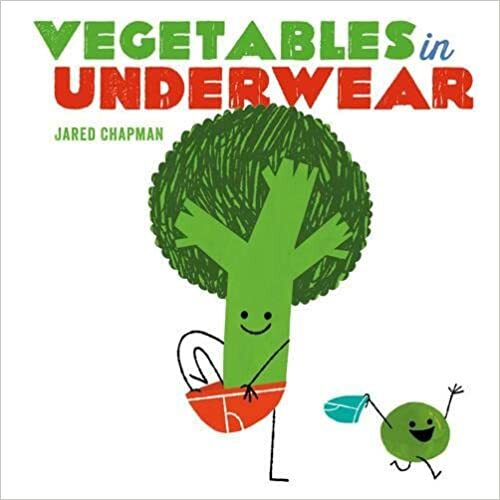 Vegetables in Underwear by Jared Chapman- A silly book about vegetables wearing different kinds of underwear and how everyone wears it. Norah thinks it's hilarious! 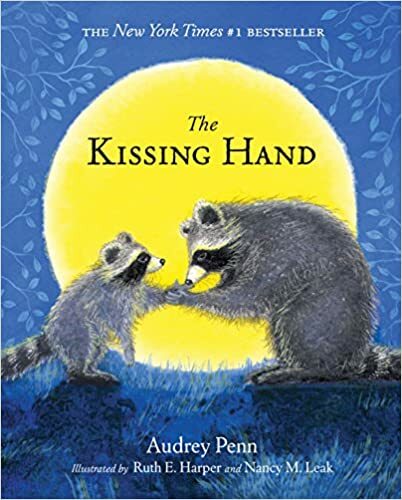 The Kissing Hand by Audrey Penn- A warm story about a raccoon who doesn't want to go to school, but his mom kisses his hand and said her love will always stay with him. We started reading this to Norah before she started preschool, and it's an encouraging story about how our love will always stay with them, even while away at school. Mama's Many Hats by Lorie Erhard- I was gifted this book at one of my baby showers by a friend (because her aunt wrote it! ), and it's one of my all time favorites. I love it so much, and Norah has really enjoyed it too. It's a Christian book (with a applicable verse on each page), about the many different hats a mom wears, like a chef, nurse, sheriff, coach, etc. but the most important is the jewel of being a child of God! 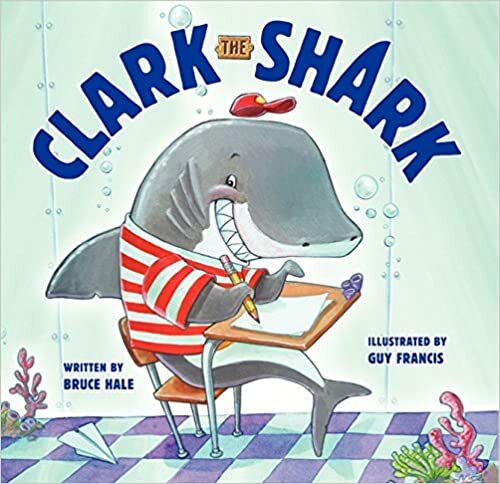 Clark the Shark by Bruce Hale- A story about a shark who loves school a bit too much and gets overly excited, so he has to learn how to "stay cool." He comes up with rhymes to say to himself to help him learn self-control. It's very entertaining! 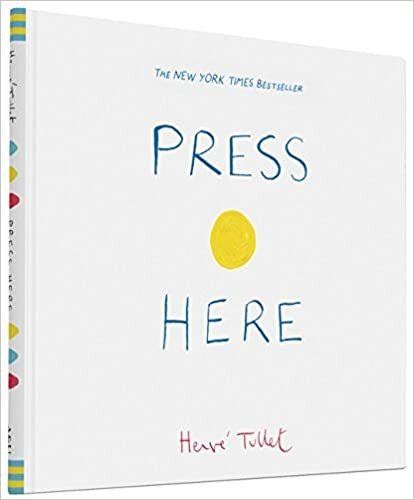 Press Here by Herve Tullet- Norah got this as a birthday gift a couple years ago, and it's been fun to read now that she's a bit older and can interact with it more. Each page gives you instruction on what you need to do- push the dot, shake the page, etc. and there's a fun surprise when you see what happens every time! What A Wonderful World! 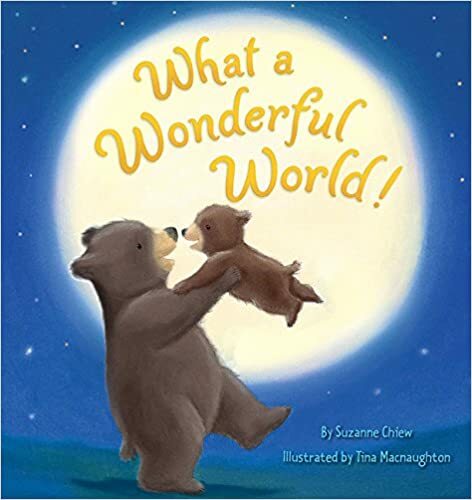 by Suzanne Chiew- This has been one of our favorite finds recently at our local library- a story about a mama bear and cub who go on adventures and see many beautiful sites and share their thankfulness to God for His glory and creation. Say Hello! 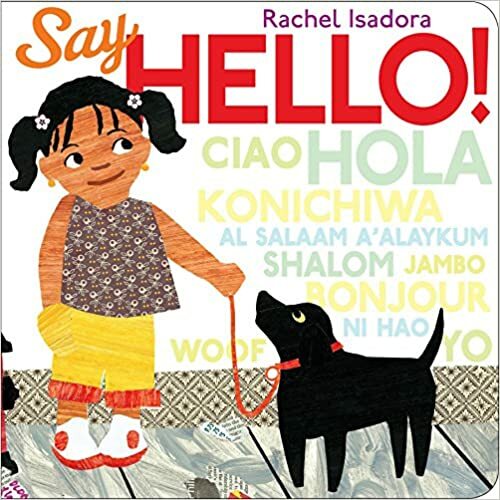 by Rachel Isadora- A book about a girl and her mom walking to visit her abuela (grandma), and they meet many different people in their community along the way and say hello to them in their native language. I love that you learn ways to say hello in many languages! God's Great Big Love by Marcia Sherriff- This book is special because it was written by a Des Moines local, from the church we went to when we lived there, and she actually came to the school I taught at and did a read aloud and talked to the kids about being an author. It was neat! This is a special rhyming book about how much He loves and cares for us, filled with Scripture, spiritual truths, and neat pictures of creation. 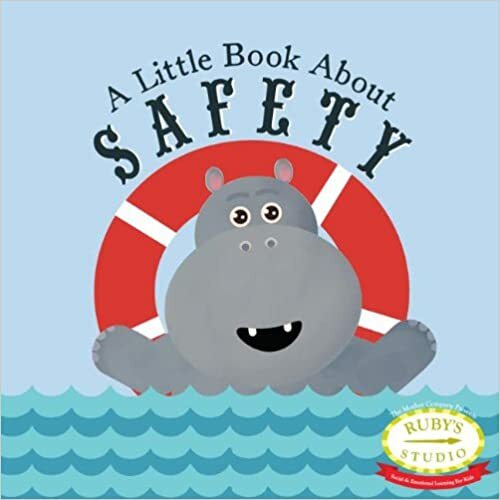 A Little Book About Safety by Samantha Kurtzman-Counter- This is one we recently got from Norah's Scholastic book order, and I like that it talks about safety in a gentle way, yet gives clear and important guidelines to stay safe, such as checking first with your safe adult, trusting your "uh-oh feeling," knowing what to do if you get lost, etc. 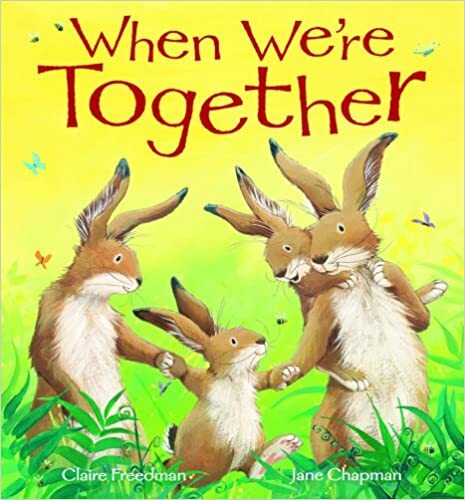 When We're Together by Claire Freedman- A story about a rabbit family and the adventures they take together during the day, but it's always better when they do them together! I Stink! 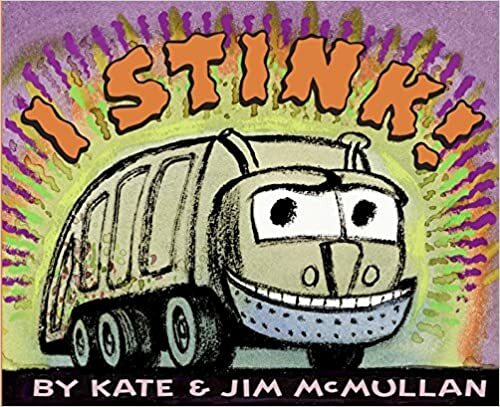 by Kate and Jim McMullan- A funny story about a garbage truck and all the things he does at night while we are sleeping, like collecting lots of different types of stinky trash. This was a huge favorite when I taught preschool too, and they also have lots of other fun books in this series also! 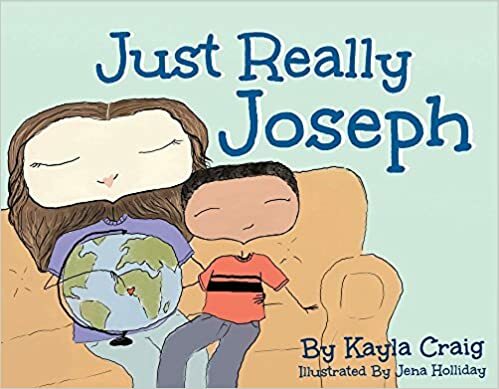 Just Really Joseph by Kayla Craig- One of my friends wrote this! This is a great Christian story involving topics of family and adoption about two brothers who have different skin colors. Rawr! 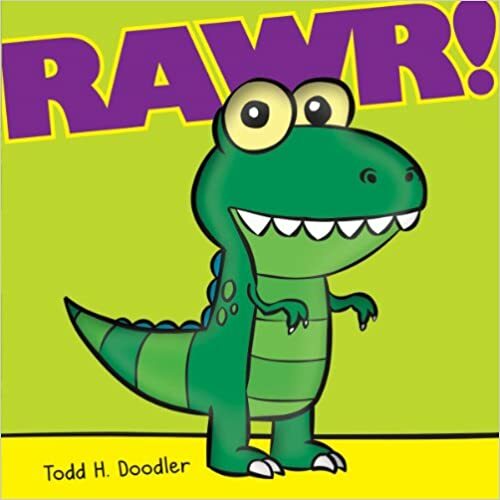 by Todd H. Doodler- This was another favorite when I taught preschool that is now fun to read to my girls, about a dinosaur and how lots of people are afraid of him but they don't need to be, and how he's too big for lots of things at school but he's really nice. 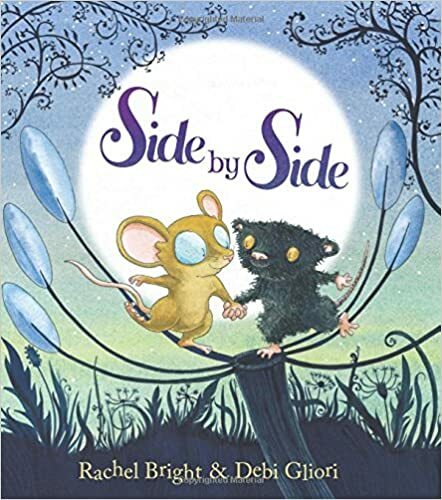 Side By Side by Rachel Bright- A cute story about finding friendship. 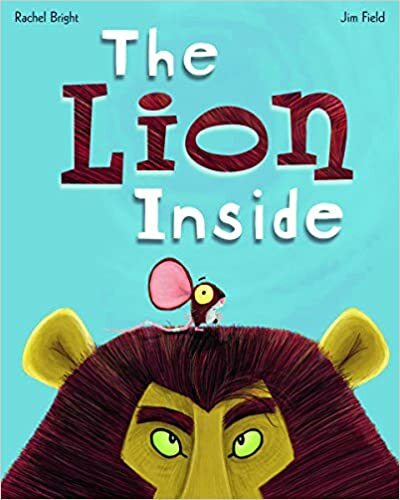 The Lion Inside by Rachel Bright- A mouse is feeling insecure, so he feels he needs to learn how to roar like a lion, but when he finally gets the bravery to go talk to him, the lion is actually afraid of the mouse! They become friends and learn there's a little lion and mouse inside everyone. Be Fair and Share! by Maria Maysen- Cubby is excited for his friend Monkey to come play, but struggles to share once he arrives- a very practical and real life example of learning how to share! 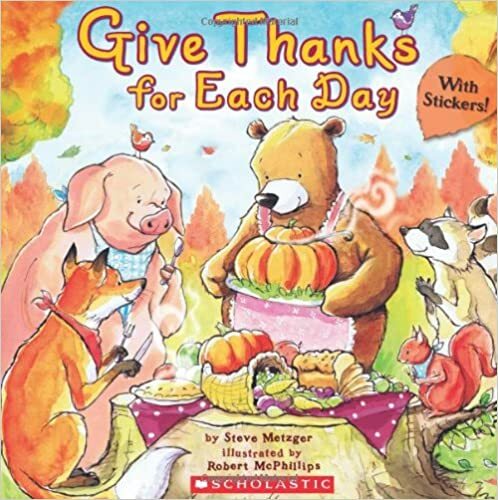 Give Thanks for Each Day by Steve Metzger- A cute story about the many different things we can be thankful for. Dog on a Frog? by Kes Gray- This is another recent one we got from Norah's Scholastic order. 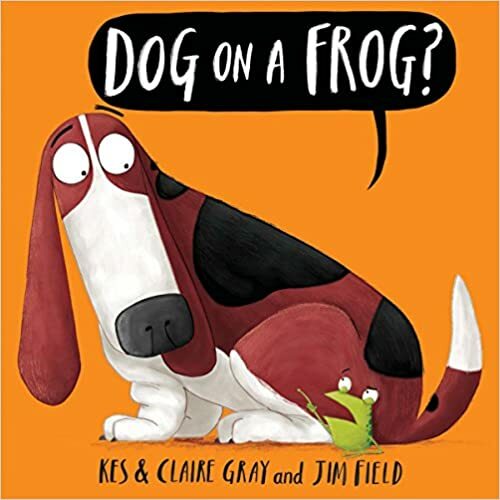 It's a silly rhyming book about a frog who doesn't want to sit on a log, and who doesn't want dogs to sit on frogs, so he changes the rules. Norah thinks it's fun to find the funniest rhymes- our favorites are poodles sit on noodles and cheetahs sit on fajitas. 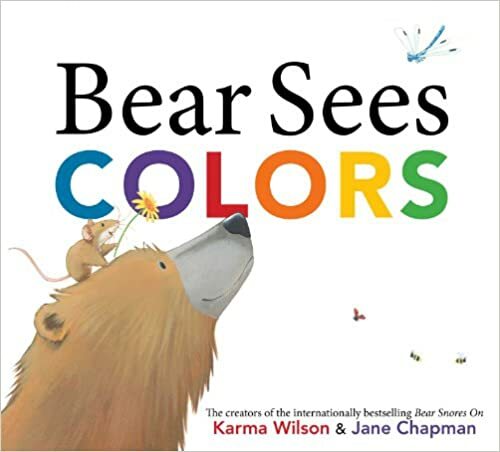 Bear Sees Colors by Karma Wilson- This one would be good for a bit younger ages too, but it's a fun story about a bear finding different colors. There are some other fun ones in this series too! Those look like fun books! We have a couple!